At the IFA 2018, Motorola announced two Android One smartphones, the Motorola One, and One Power. 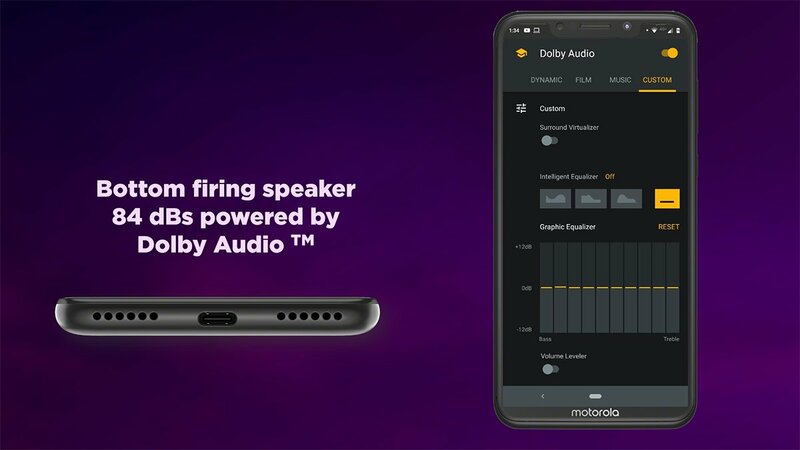 It was then reported that the Motorola One Power would be an India-Exclusive smartphone. Today, the company launched the phone in India at a price of Rs 15,999. 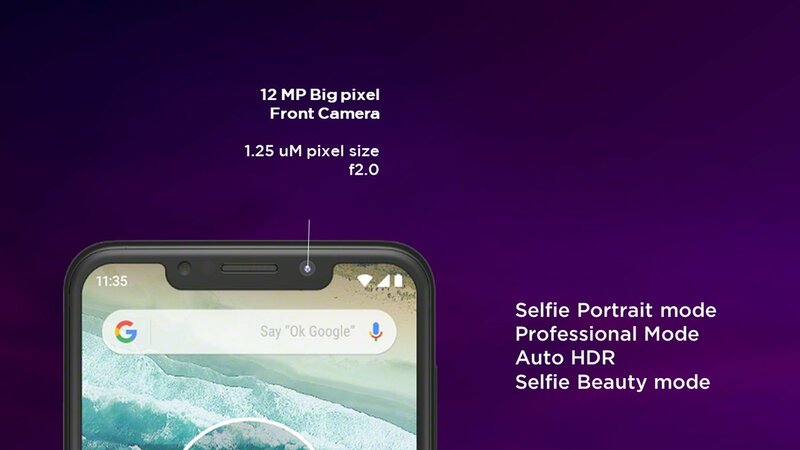 The phone is going to compete with devices like the Nokia 6.1 Plus, Asus Zenfone Max Pro M1, Redmi Note 5 Pro and not to forget, the upcoming Realme 2 Pro with Snapdragon 660. It won’t be wrong to say that this is a shameless copy of the iPhone X. The device has a huge notch & a vertical dual camera setup. 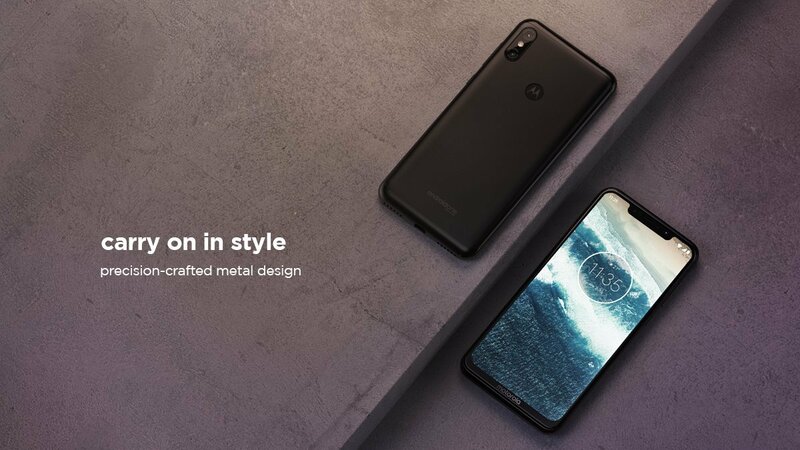 The Motorola One series phones are the first from Motorola to feature a notched display. Anyways, the phone has a Metal back, but we cannot confirm if the whole body is made out of metal. We are almost sure that like the Zenfone Max Pro M1, only the back panel is metal. The top and bottom, along with the sides, are made out of plastic. Still, this is one of the few phones out there in this price segment to feature a USB Type-C port. The headphone jack is present as well. 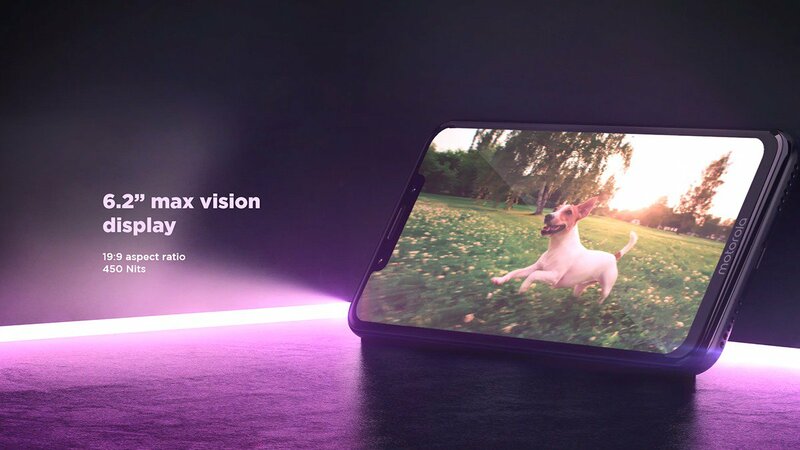 On the front, the Motorola One Power has a 6.2-inch Full-HD+ (2246 x 1080) display with an aspect ratio of 19:9 and 450 Nits of maximum brightness. We are yet to confirm if there is a Gorilla Glass protection but hopefully, the display has it. 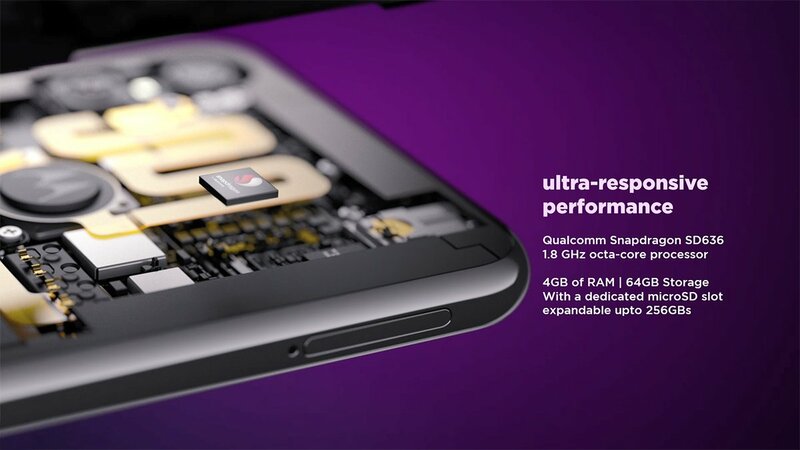 Under the hood, there is an octa-core 1.8GHz Qualcomm Snapdragon 636 Processor with 4GB RAM and 64GB ROM. There is also a dedicated microSD card slot which takes microSD card up to 256GB. The Snapdragon 636 is a very powerful processor, and we have seen it in almost all the best budget phones like the Redmi Note 5 Pro, Asus Zenfone Max Pro M1, Nokia 6.1 Plus etc. Coming to the cameras, the Motorola One Power packs a dual camera setup on the back that includes a primary 16MP sensor and a secondary 5MP sensor for depth sensing. On the front, the phone has a 12MP camera. 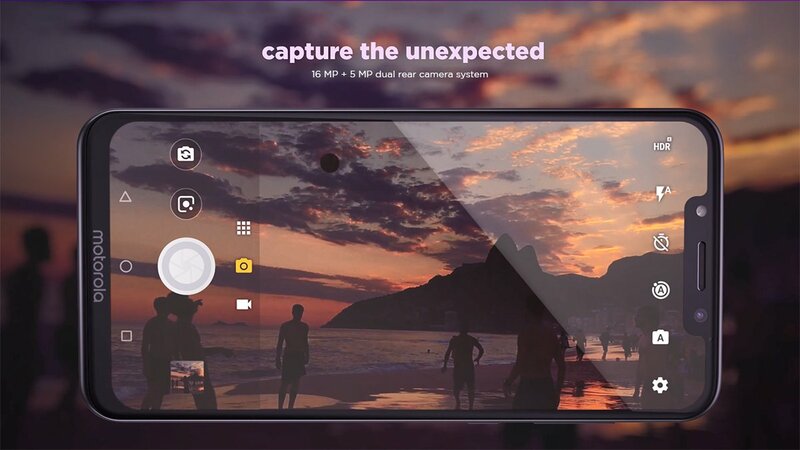 Some camera features include Selfie Portrait Mode, Rear Portrait Mode, Auto HDR, Selfie Beauty, Pro Mode etc. 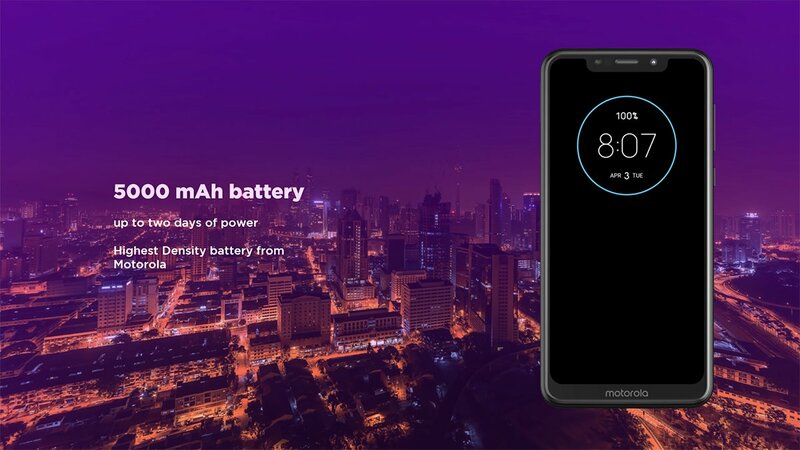 One of the highlights of the Motorola One Power is its huge 5,000mAh battery that supports 15W Turbo Charging as well. This makes it the only phone after the Asus Zenfone Max Pro M1 to have a 5,000mAh battery and the Snapdragon 636 processor. Such a massive battery, along with the Stock Android, is more than enough to last a day and a half on normal to heavy usage. And in case we didn’t mention, Android 8.1 Oreo runs out of the box. The phone will also get Android Pie Update pretty fast since it is an Android One device. 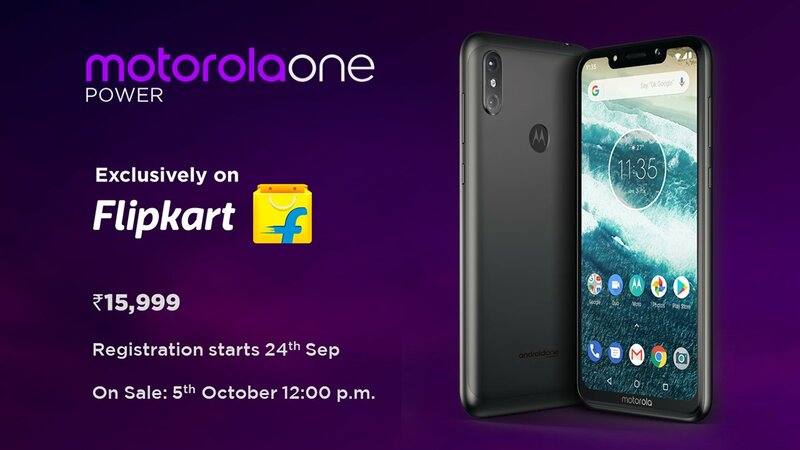 Finally, talking about the pricing, the Motorola One Power is priced at Rs 15,999 and will be available on the first flash sale happening on October 5 at 12:00 p.m. The registrations start today.